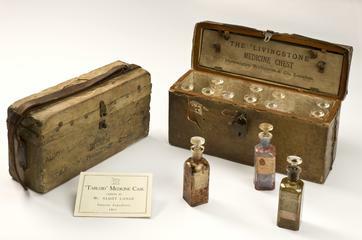 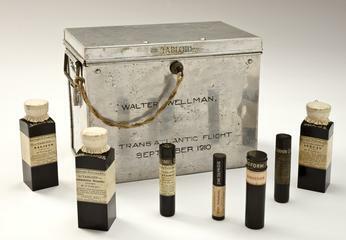 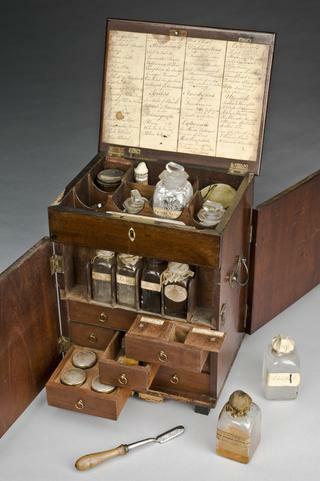 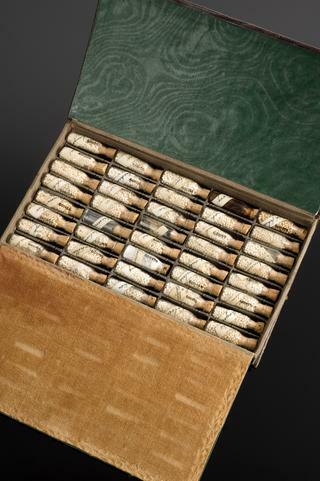 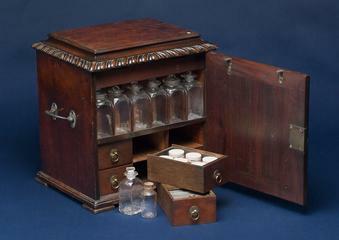 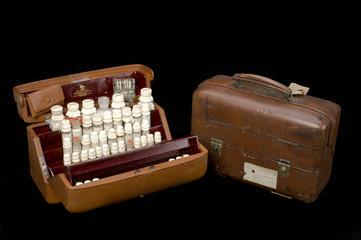 Medicine chest used by Teddy Roosevelt. 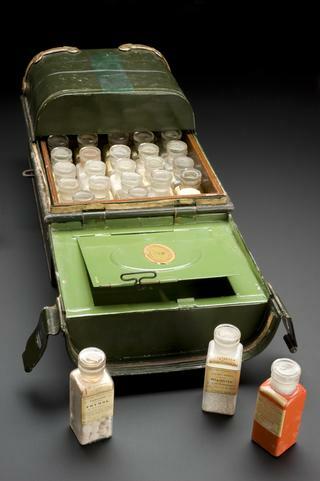 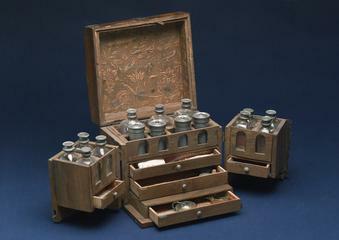 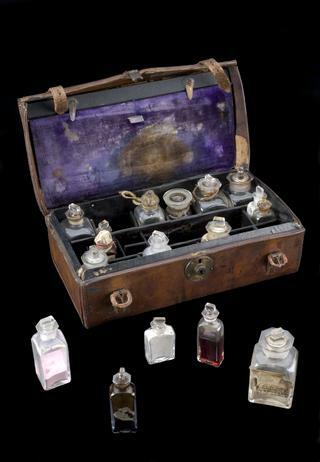 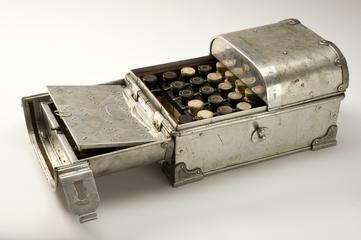 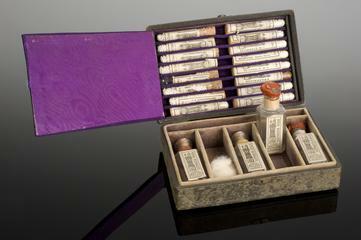 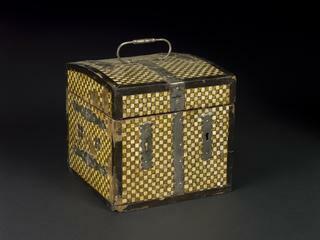 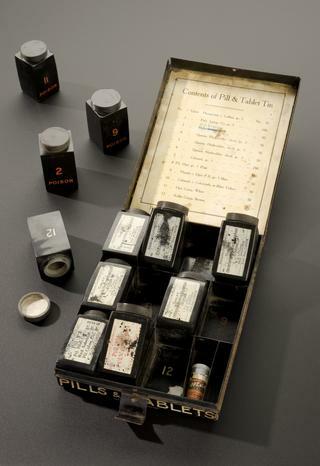 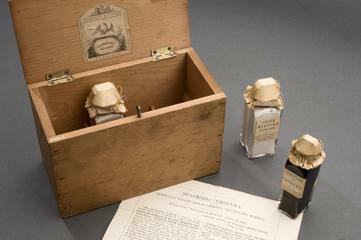 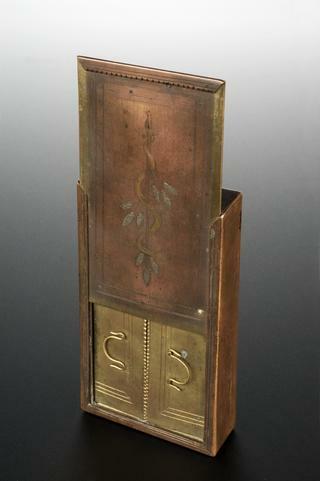 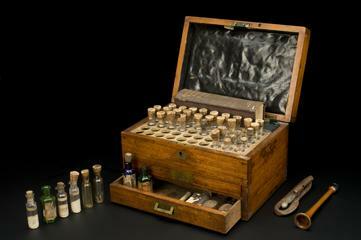 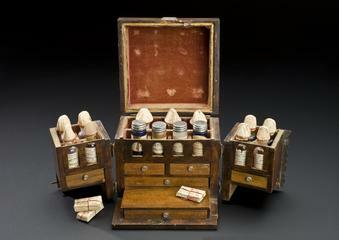 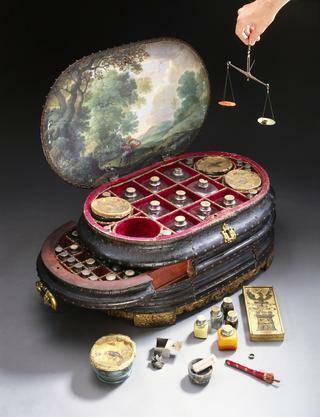 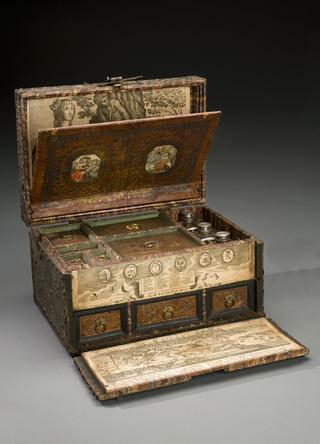 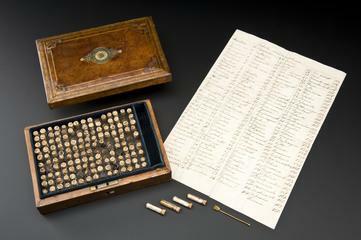 Medicine chest, style 251, by Burroughs Wellcome and Company Limited, London, England, 1910. 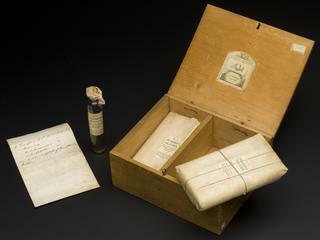 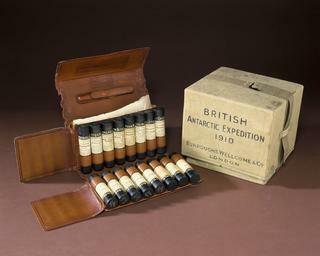 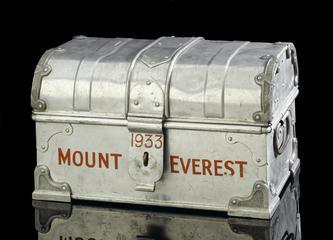 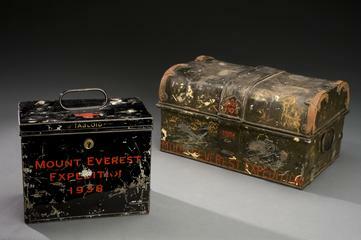 Supplied to the British Antarctic Expedition, 1910 (Wellcome ref R.165). 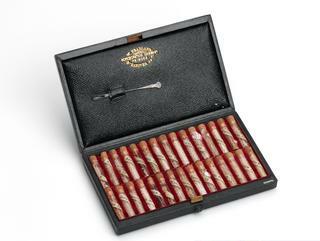 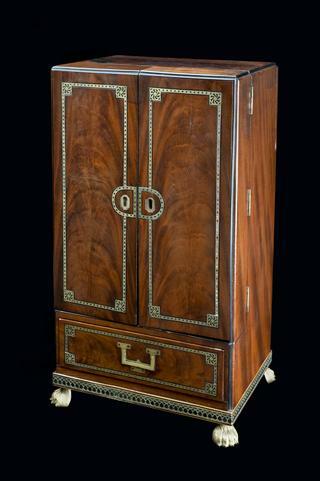 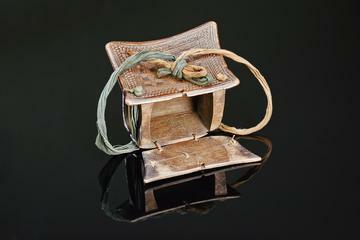 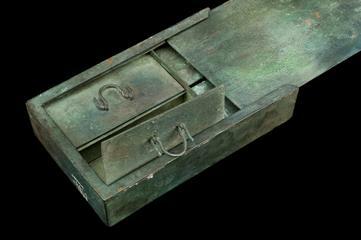 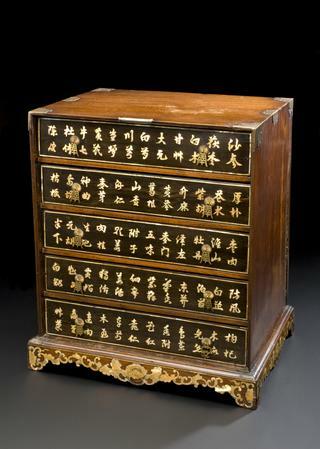 The chest has a hinged lid with two fold-out compartments. 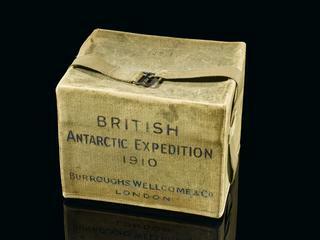 Printed inscriptions on the sides read 'Burroughs Wellcome & Co.' and, on the reverse, 'British Antarctic Expedition 1910'. 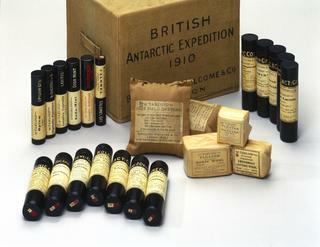 Burroughs Wellcome and Company Limited, English, c. 1910. 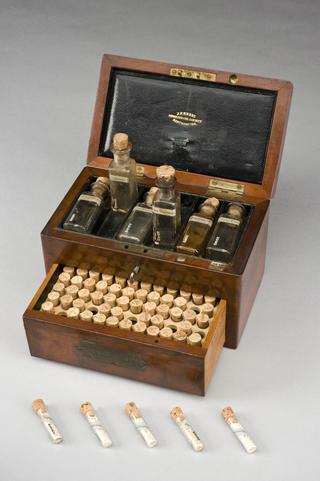 Round glass bottle with glass stopper for cocaine hydrochloride solution, with crystallised contents. 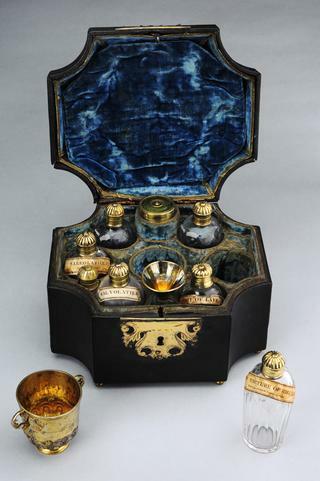 70 mm x 27 mm diameter, 35 g. Unknown maker, English, mid-nineteenth century.